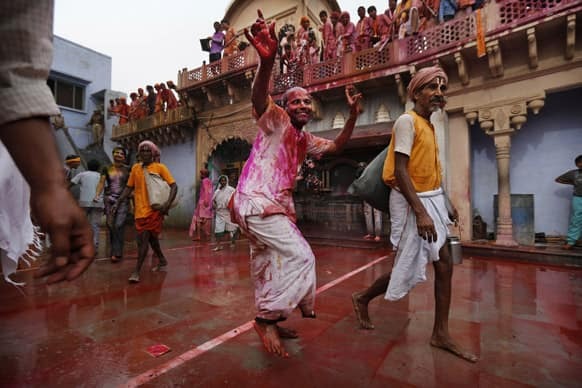 Hindu devotee covered in color dances as he arrives at the Nandagram Temple famous for Lord Krishna in Nandgaon 120 kilometers ( 75 miles) from New Delhi. 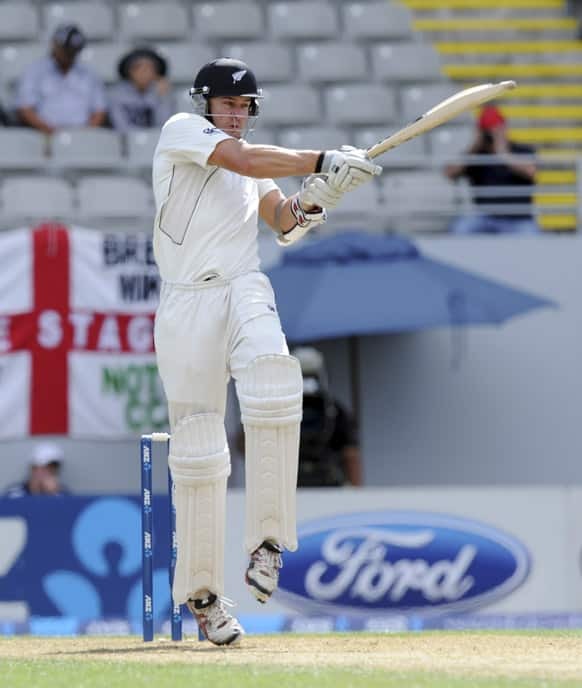 New Zealand`s Peter Fulton hooks against England on the second day of the 3rd international cricket test, Eden Park, Auckland, New Zealand. 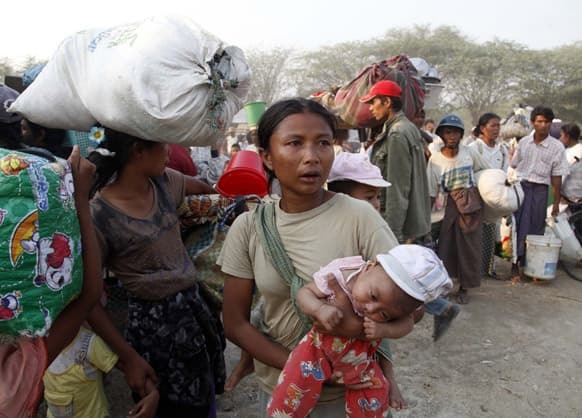 Carrying a child and belongings, Muslims refugees try to move a rescue camp in Meikhtila where ethnic unrest between Buddhists and Muslims, about 550 kilometers (340 miles) north of Yangon, Myanmar. Daniela Hantuchova of Slovakia, returns a shot from Sara Errani of Italy, during the Sony Open tennis tournament. A Buddhist monk, right, uses needle to tattoo the back of a man during the `Wai Kru` or paying honest to masters ceremony at Bang Phra temple in Nakhon Pathom province just south of Bangkok. Jenson Button`s girlfriend Jessica Michibata arrives for the second day of Malaysian Formula One Grand Prix at Sepang, Malaysia. 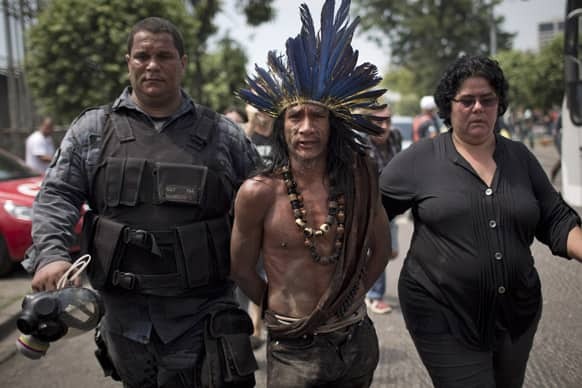 An indigenous man is arrested during clashes outside the old Indian museum, a complex that has been occupied by Indians for years, during an eviction in Rio de Janeiro. 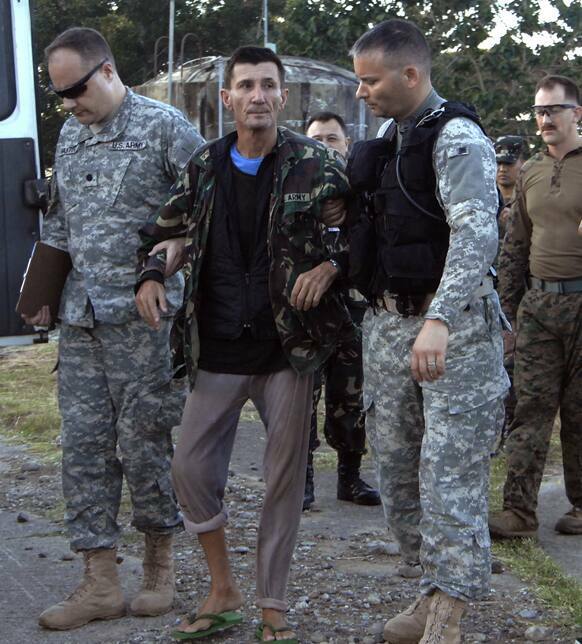 Australian hostage Warren Richard Rodwell, arrives at the Command`s headquarters in Zamboanga city in southern Philippines. 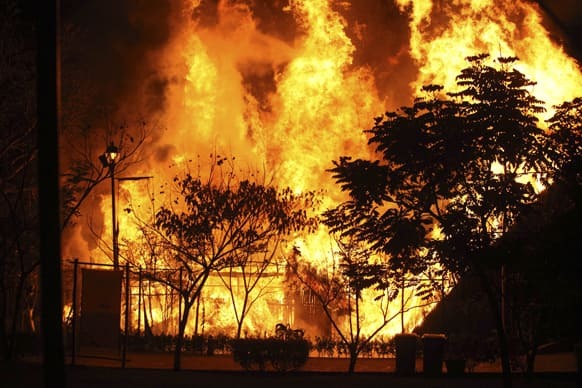 A fire rages in a section of the Takilhsukut park, where the Cumbra Tajin music festival was being held in Papantla, Mexico. 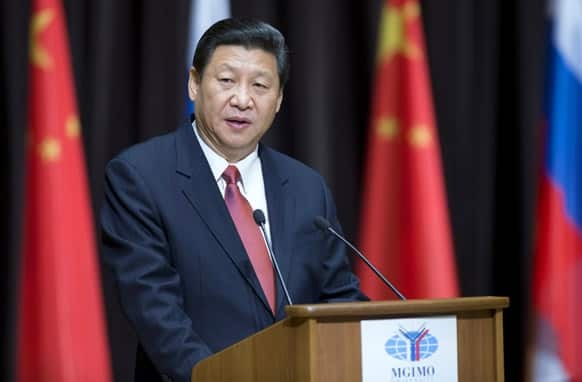 Chinese President Xi Jinping addresses students of MGIMO (Moscow State University for Foreign Relations) in Moscow, Russia. 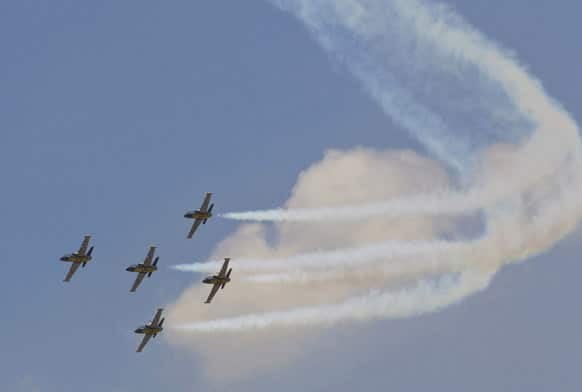 Breitling Jet Team flight demonstration team performs an aerobatic flight on Royal Thai Air Force Day in Bangkok, Thailand. 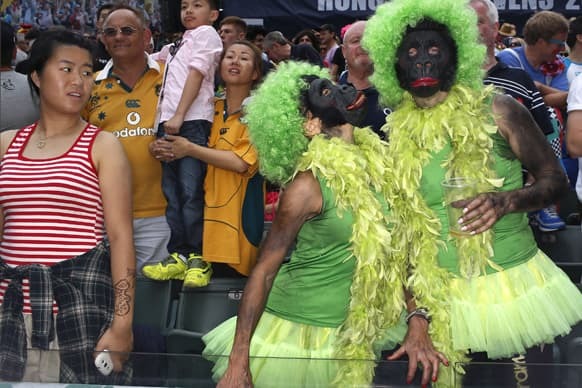 Rugby fans dressed as gorilla during the second day of Hong Kong Sevens rugby tournament in Hong Kong. 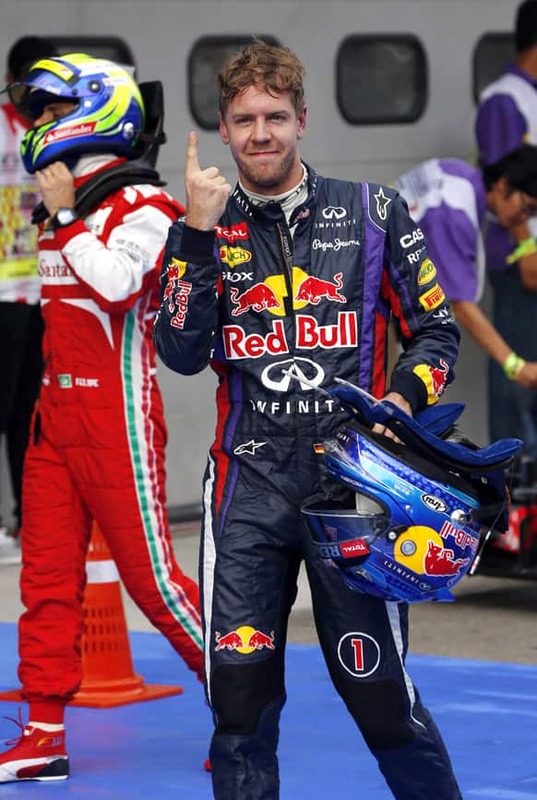 Red Bull driver Sebastian Vettel of Germany celebrates after taking the pole position after the qualifying for the Malaysian Formula One Grand Prix at Sepang, Malaysia. A model presents an outfit from Oscar de la Renta`s spring/summer collection, in Mexico City. Karen refugees flee the Ban Mae Surin refugee camp as the fire broke out at their thatch huts in Mae Hong Son province, northern Thailand. 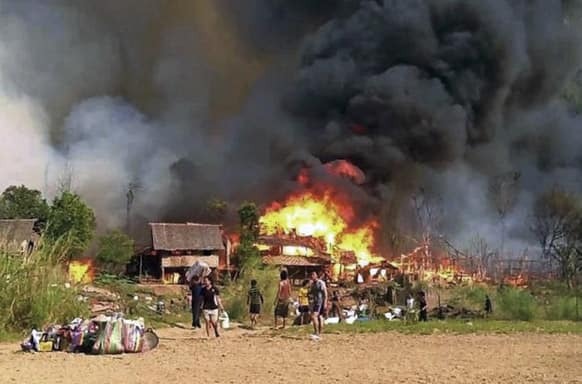 At least 32 Myanmar refugees died in a raging fire at this camp which house about 3,300 people. 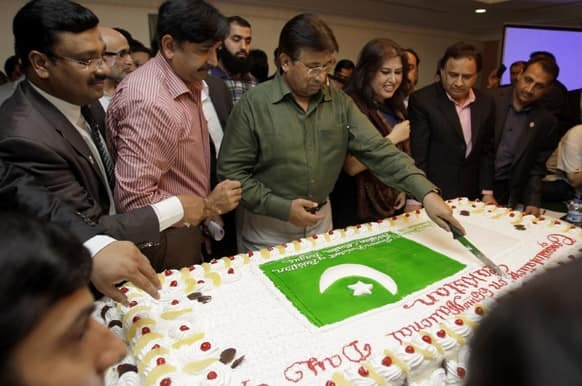 Former Pakistani President Pervez Musharraf cuts a cake during a ceremony to celebrate Pakistan National Day ahead od his trip to Karachi, in Dubai, United Arab Emirates. 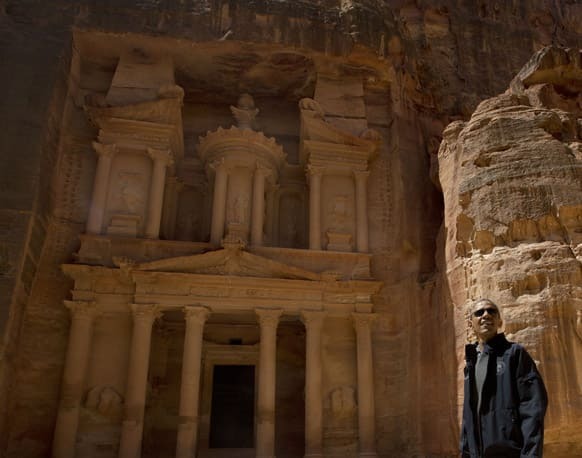 US President Barack Obama stops to look at the Treasury during his tour of the ancient city of Petra, Jordan. 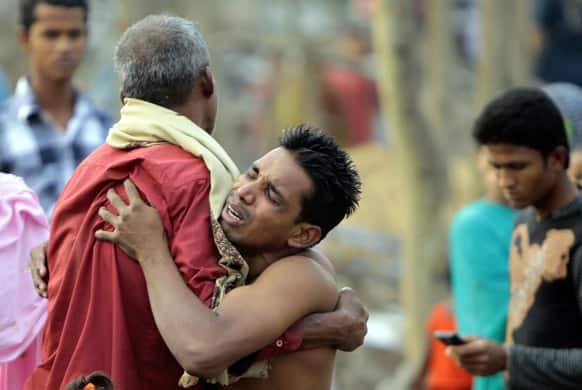 A Bangladeshi man mourns the loss of a relative who fell victim to a tornado, at Banui village, in Brahmanbaria district, Bangladesh. The tornado ripped through 20 villages in eastern Bangladesh, killing almost two dozens of people, with another 200 hurt. 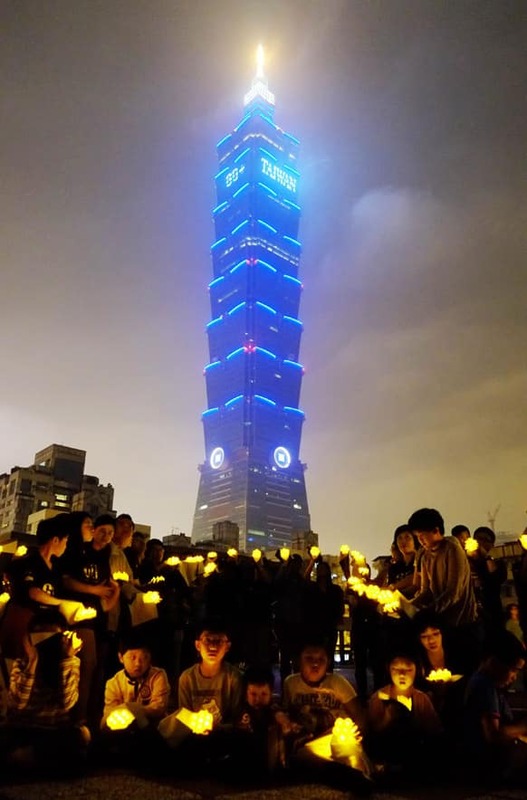 Children turn on their LED lights moments before Taipei 101 building turns its lights off to observe international "Earth Hour" campaign in Taipei, Taiwan. 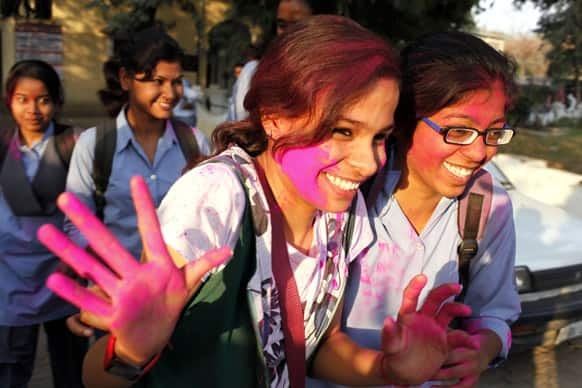 An Allahabad University student, face smeared with colored powder, gestures as she celebrates Holi, the festival of colors, in Allahabad. 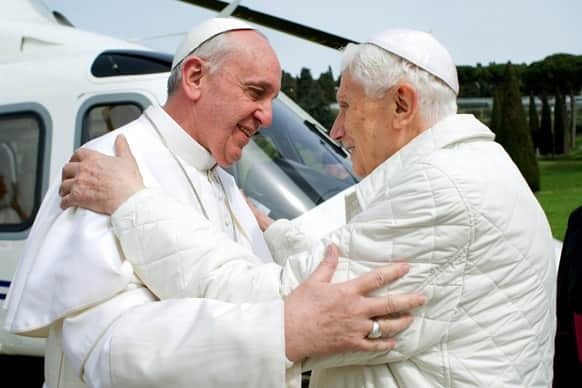 Pope Francis meets Pope emeritus Benedict XVI in Castel Gandolfo. Pope Francis has traveled to Castel Gandolfo to have lunch with his predecessor Benedict XVI in a historic and potentially problematic melding of the papacies that has never before confronted the Catholic Church.